I had another one of my subway dreams last night – those long, dreary, frustrating journeys that resemble my worst commuting experiences. In most of my mass-transit dreams I miss or get off at the wrong stop, or get on the wrong train and become hopelessly lost. But in this dream I was having such a hard time at the token booth that I never actually boarded a train. I was in a hurry to go somewhere, but first I had to wait in a long line at the booth. But instead of receiving tokens for my cash, I was given change – quarters, dimes and nickels. Then I had to go around the back of the token booth to a long line of complicated, ancient looking token machines where I had to put the correct change into slots in order to obtain the tokens. I missed train after train while trying to figure out this complicated process. In my dream I thought to myself: I really need a metro pass for my dreams. One pass that will work on all my subway, bus, train and monorail dreams in any location. I wonder if I could market them? I can’t be the only one experiencing these nightmares. 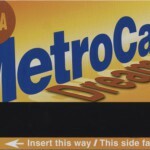 I created the above pass in Photoshop from a scan of a NYC metro card. It’s now the official Dream Metro Card of the Dream Transit Authority (or Donna’s Transit Authority). If you’ve had a subway dream, leave a comment! The mouse inspired me to create this Artist Trading Card. The card will accordion fold to the 2.5 x 3.5 size, and it’s for the next trade titled “Tell Me a Story” with a local artist group I belong to, the NH chapter of Women’s Caucus for Art. It depicts all the various tools, devices and traps I’ve used over the years to defend my house against rodents. The most effective, and the most entertaining, was the spray foam insulation which I used along the perimeter of my house between the bottom of the siding and the foundation. If you haven’t tried this stuff you are missing out on a good time! 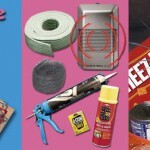 It ranks right up there in toxicity and fun of the Mattel Thingmaker from my childhood. I still remember the smell of the burning plastic Goop as the Creepy Crawlers cooked. If only we had the spray foam back then. We could have built insulated forts! It’s a shame they don’t let children play with dangerous toys anymore. Bring back Lawn Jarts! I’m not sure why I’m starting a blog, but I have some time to kill this morning, and a blog might be a welcome addition to my creative duties. I’m feeling rather uninspired lately. Maybe its cabin fever and the fact that it’s 7 degrees out. Maybe the lack of sunlight has left me depressed. Or maybe the endless stream of snowstorms have left me feeling wan. All I seem to do is shovel and snowblow, and more snow is forecast for tomorrow. My walkway and driveway are like an ice rink and I hesitate to leave the house. I heard the scraping of a mouse inside the kitchen wall this morning so I know I’m not alone today. It’s me and the mouse, together inside, afraid to leave. 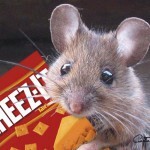 Maybe I’ll risk it and go to the hardware store today and buy some mouse traps.